This month the Center for Contemporary Graphic Art and Tyler Graphics Archive Collection (CCGA and TGAC) celebrates its 20th anniversary. 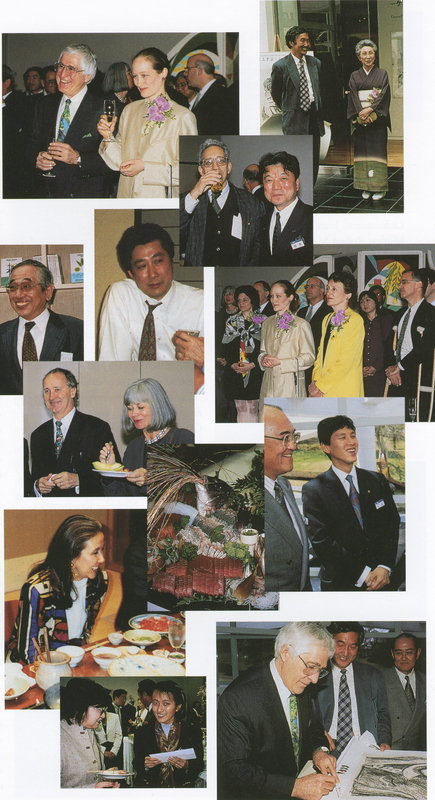 Located in the Japanese city of Sukagawa, Fukushima Prefecture, the CCGA is an exhibition, study, and storage facility, including a complete collection of prints produced at Tyler Graphics Ltd. from 1974 until 2001. 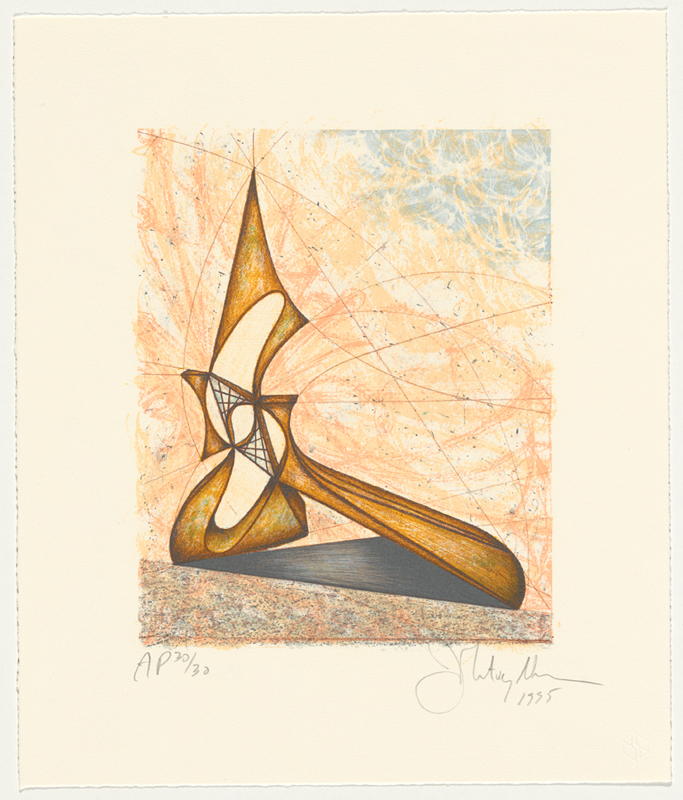 The Center thus belongs to an international family of institutions holding significant collections of prints from Ken Tyler’s workshops, including the Walker Art Center, Minneapolis, Singapore Tyler Print Institute, Singapore, National Gallery of Art, Washington, and of course the National Gallery of Australia, Canberra. Based on a triangular motif, the CCGA building was designed by ED2 International as an artwork in its own right, harmoniously placed in the landscape. 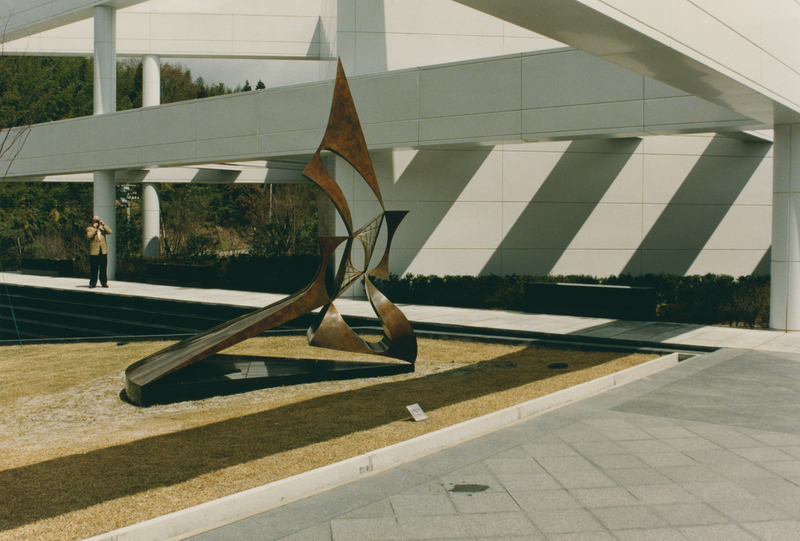 To the left of the entranceway is John Newman’s sculpture Upward turn, commissioned by Dai Nippon Printing Company (DNP) for the new building. At almost 4 metres high, the patinated bronze and glass construction with gold-leafing is a striking contrast to the stark white building. The 9-colour lithograph Upward turn (study) created at Tyler Graphics was similarly commissioned by DNP to commemorate the opening of the CCGA. To mark their 20-year milestone CCGA is currently showing 21st Century Graphic Vision, an exhibition of 90 works – American and Japanese – drawn from both the Tyler Archive and the DNP Archives of Graphic Design. Find out more on their website. We look forward to seeing what the next 20 years will bring! See a post from 2011 about CCGA and TGAC here. Ken Tyler quoted in Walking through, Mount Kisco: Tyler Graphics Ltd., 1995.